As many auto writers will tell you, car sales have dropped in recent years as more consumers have bought SUVs. Especially hard hit have been compact and subcompact cars, whose sales have fallen more than mid-size and fullsize cars. Such articles are usually framed by the environmental harm this shift is causing. Larger vehicles get worse mileage and consequently emit more greenhouse gas emissions than smaller ones, the writers frequently point out. While that's true, I want to make a different case for buying a compact car instead of an SUV — money. Put simply, today's compacts do everything that many larger vehicles do most of the time, but cost a whole lot less. They have almost as much interior room and are just about as practical, if you buy the hatchback versions. But they can cost around half as much, and, yes, get much better mileage. 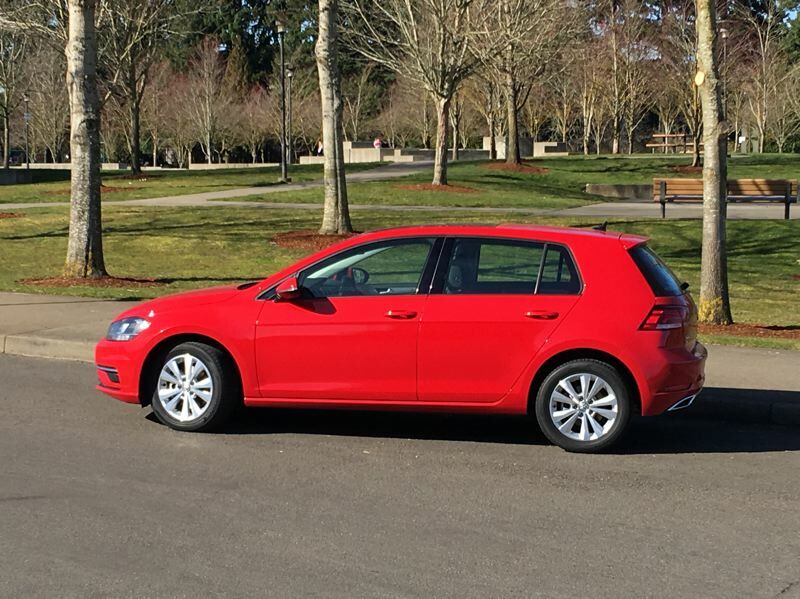 A case in point, the 2018 Volkswagen Golf SE, the subject of this week's review. Since most drivers spend the vast majority of their time alone in a vehicle going from work to home, it is a much more sensible choice than an SUV, either of which might be better for a particular but rarely performed task. I won't try to make the same case for subcompacts, which are best bought by young singles living in dense urban environments. That's true for both subcompact and the new generation of subcompact crossovers. None have enough rear seat and cargo space for families. There are other advantage, of course, like even better mileage and being able to squeeze into the smallest parking space. But I wouldn't try to talk someone considering a larger SUV into a subcompact. 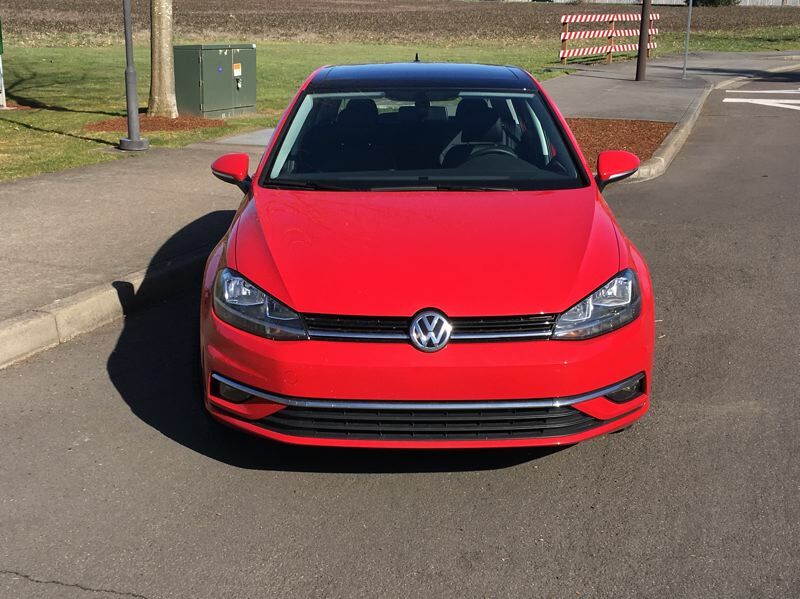 The 2018 VW Golf is a different matter, however. Yes, the ride height and increased visibility isn't as great. And no, it won't haul quite as much. But serious, how often does that really matter? In a week of daily driving, I could see all the traffic around me just fine. I didn't need to carry anything larger than a grocery bag. At the same time, I had all the interior room I needed, the ride was comfortable over even broken pavement, and I got around 30 miles per gallon — which will be more important when gas prices go up in the future, as they will. On top of that, the Golf was fun to drive. Although the turbocharged 1.8-liter inline four cylinder engine only produced 170 horsepower, it felt zippy off the line and easily merged into freeway traffic. 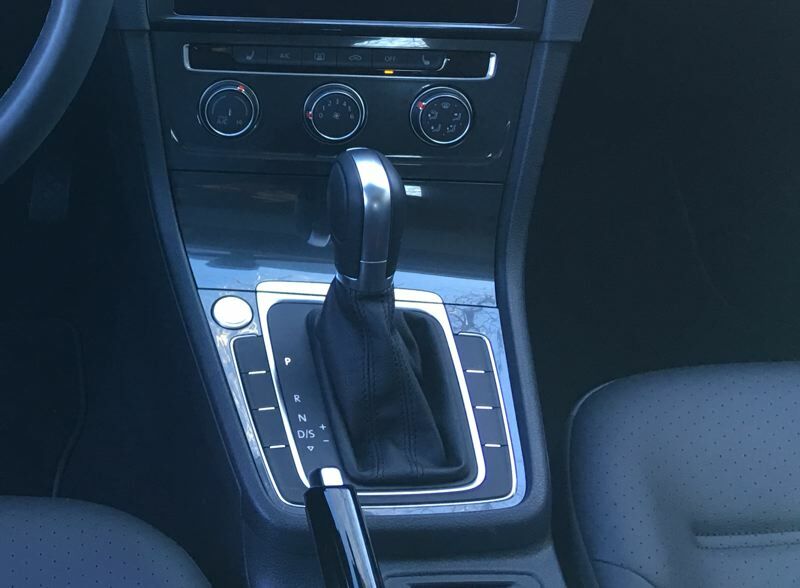 And that was with the optional six-speed automatic transmission instead of the base five-speed manual, which might be even more entertaining. And it was practical. The hatcback provided easy entry to serious amount of cargo space behind the rear seat — even more when they were folded down. OK, not as much as a large SUV, but how much will you really need that much capacity? If you're like me, not enough to justify the additional cost of a larger vehicle. Finally, the Golf is inexpensive. The base S model — which has the same engine and transmission choices — start at under $21,000. The next step up, the SE version, starts at under $25,000. More expensive performance, electric and all-wheel-drive wagon versions are also available. All are well built and cost a lot less than similarly-equipped SUVs. I know such arguements aren't going to stop many people from buying larger vehicles. Nor should they. America is all about choice, and the stars are currently aligned for the purchase of larger vehicles. But, like all other purchases, they should be informed choices. 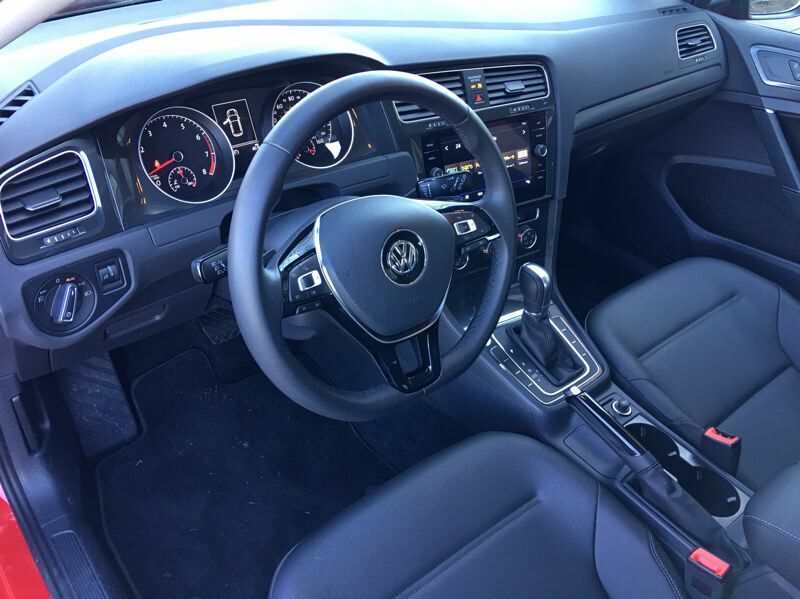 Check out the 2018 Volkswagen Golf if you think you need something bigger.